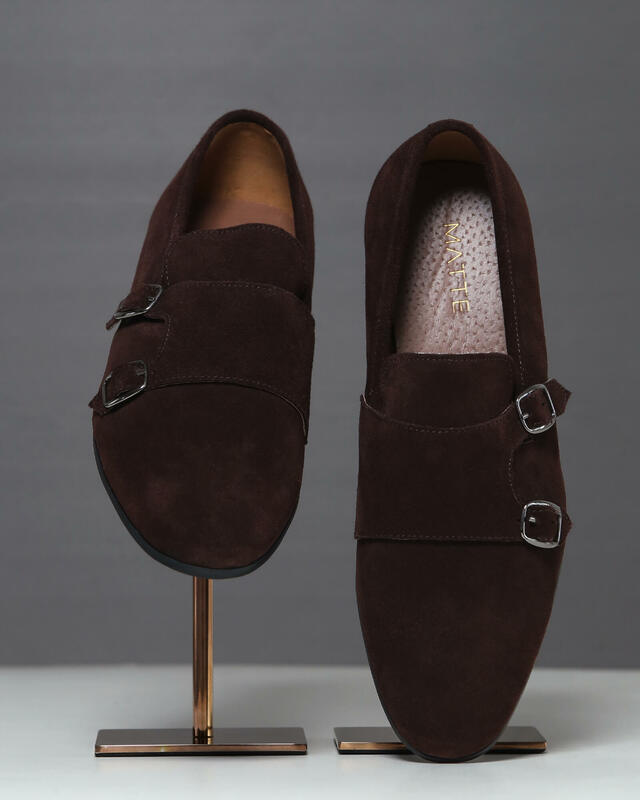 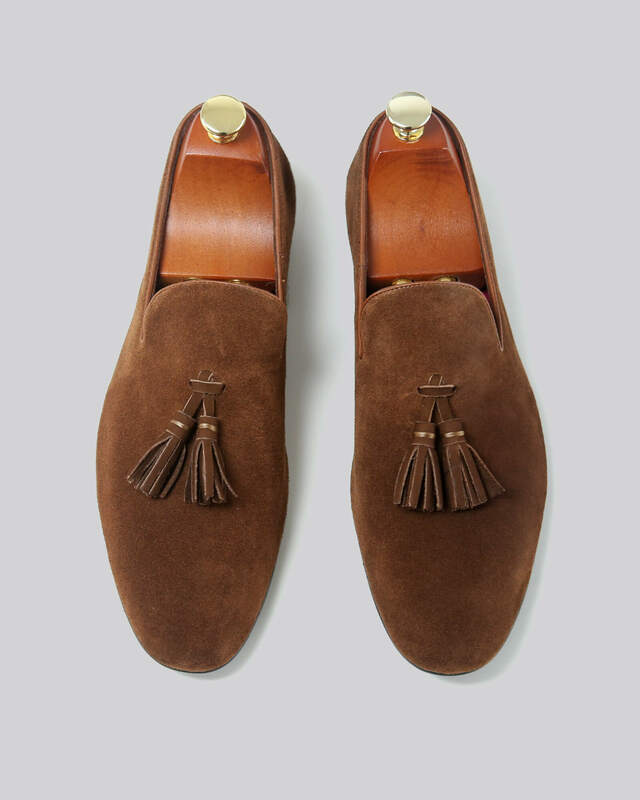 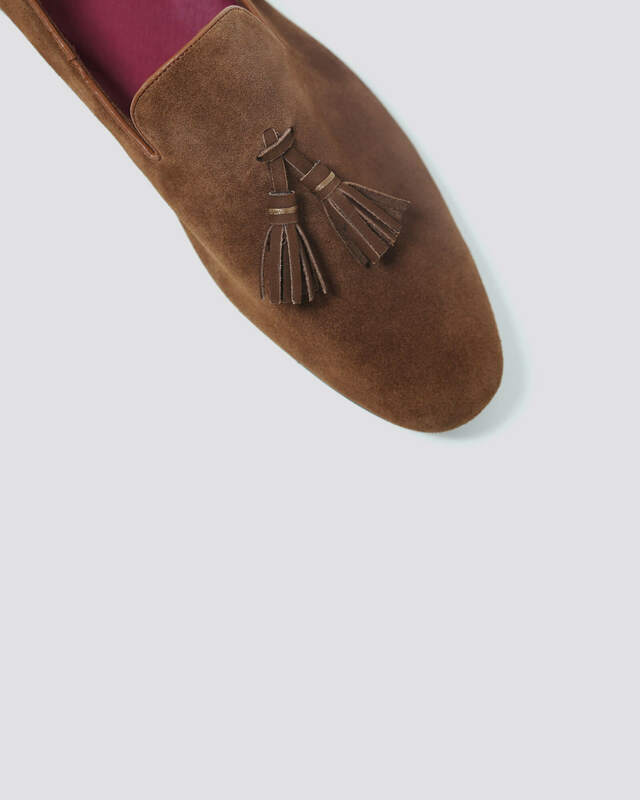 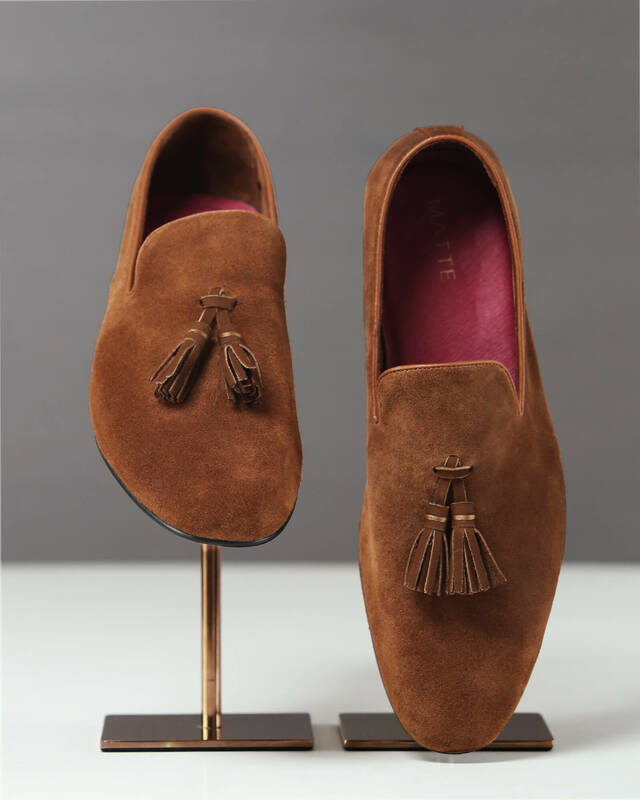 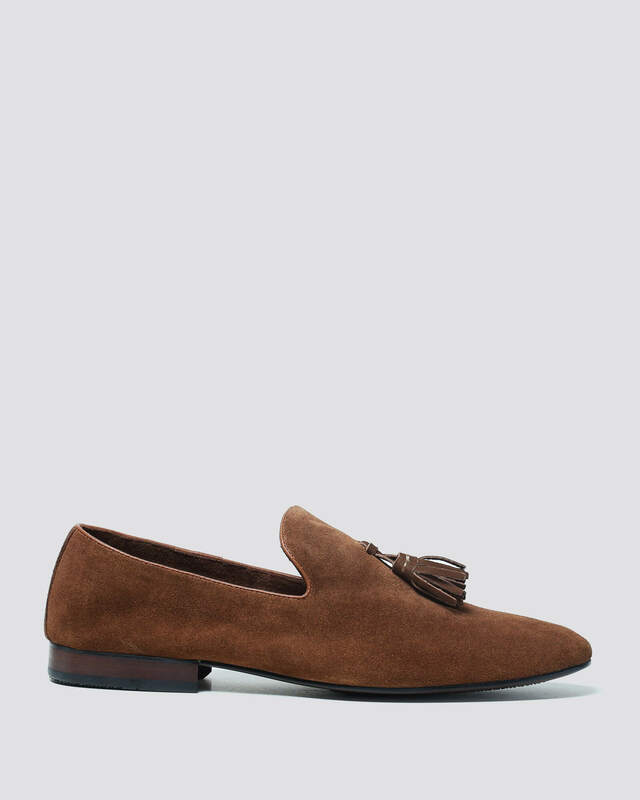 Made from premium and soft calf suede these moccasins with dark brown leather tassels are presented in a cocoa colourway. 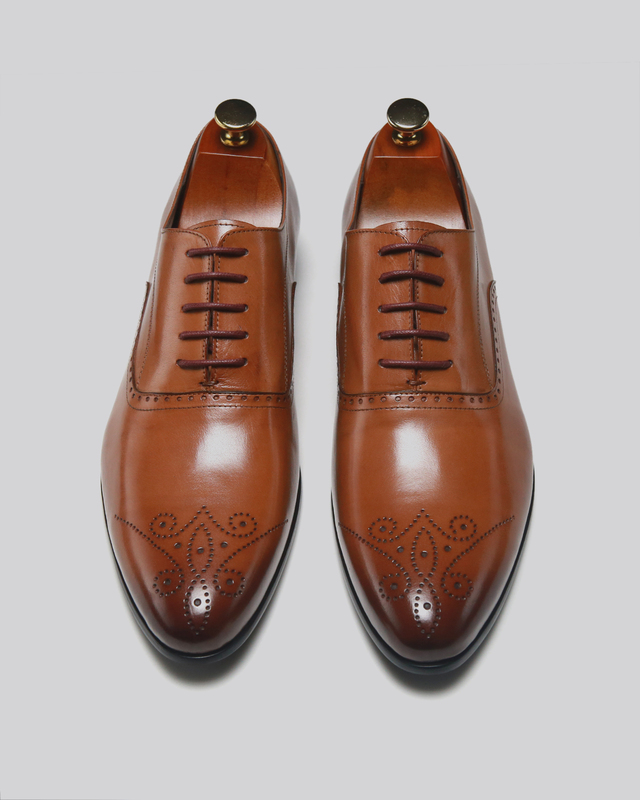 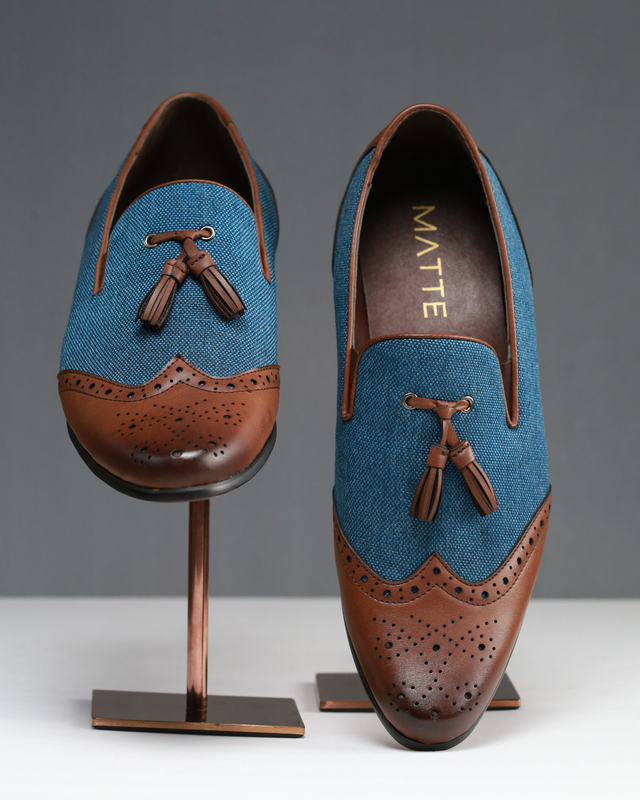 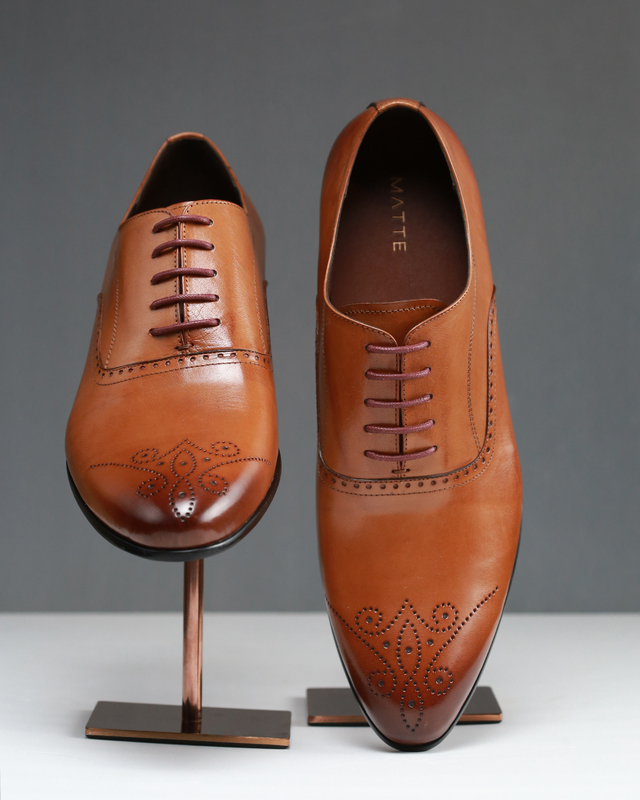 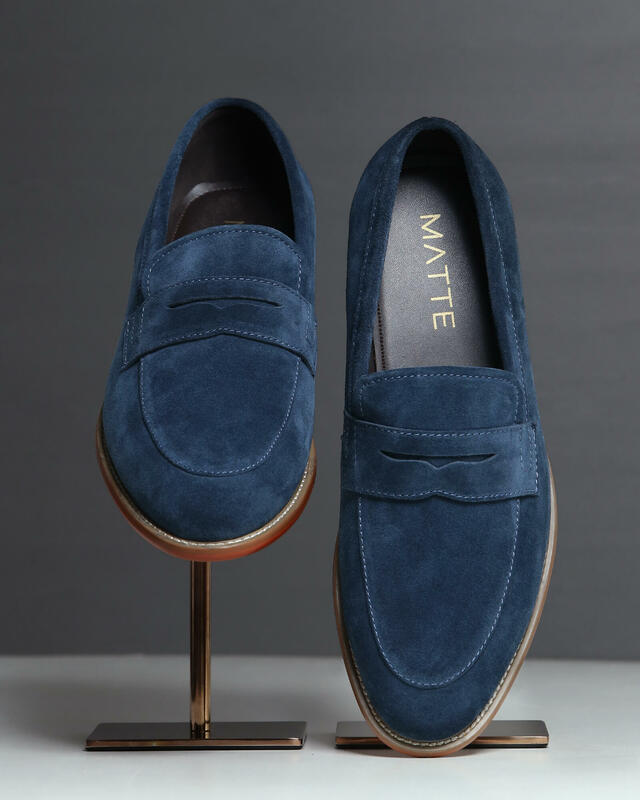 The insole is of soft goatskin, which complements a smart contrasting outsole. 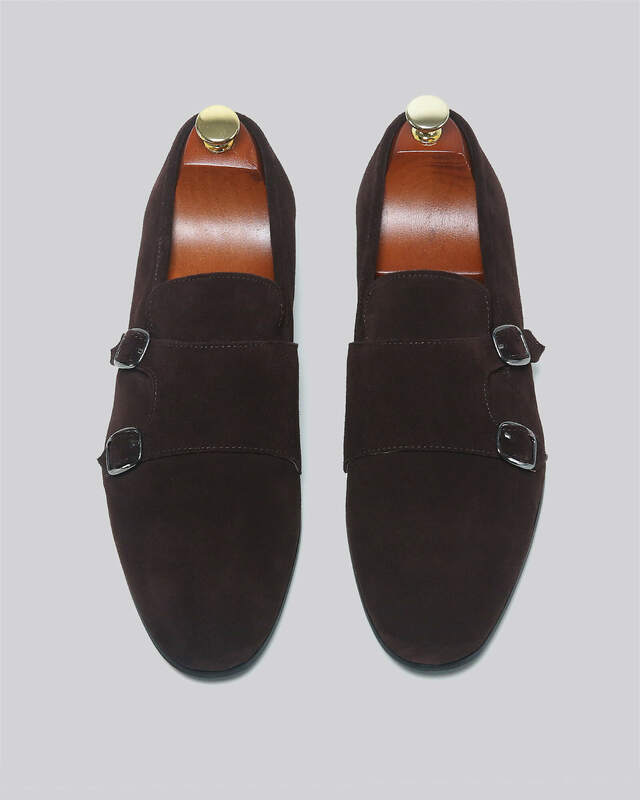 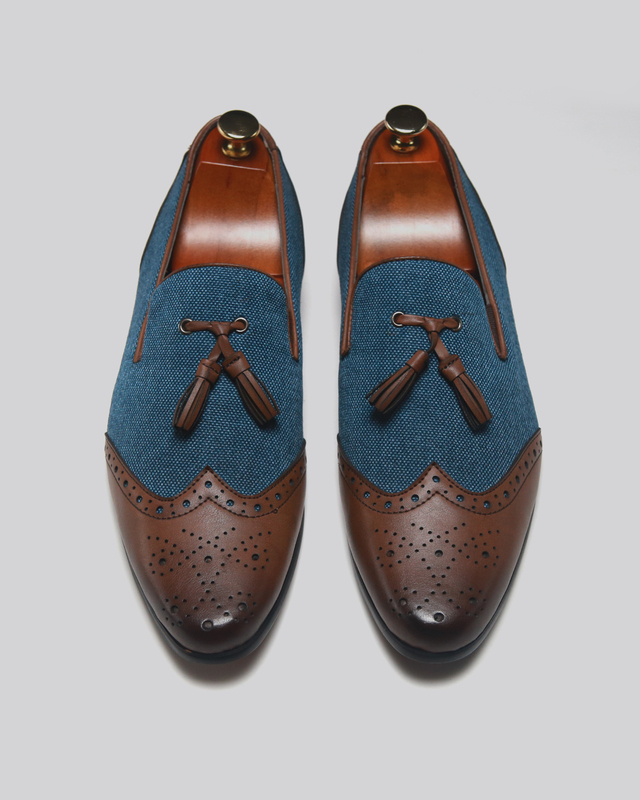 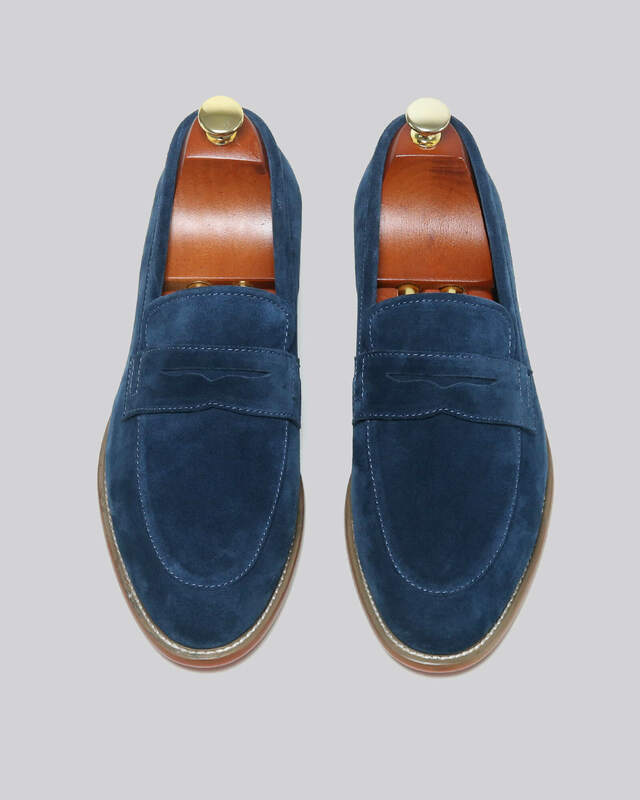 The word “suede” comes from the French term “Gants de Suede”, which means “gloves from Sweden”. 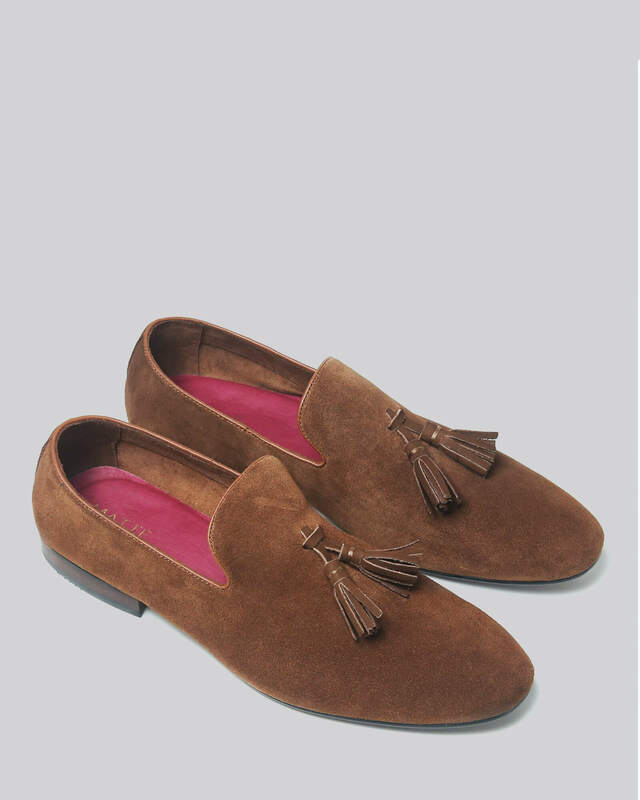 These luxury moccasins really do fit like a glove and offer supreme comfort along with a lavish look.